So far my marketing experiment is working. I mentioned in my last post that I had worked with Soren Petrek, author of Cold Lonely Courage, helping to send his book into Amazon’s top 100 a few weeks ago. He reached #76, and is currently holding around #2,200. He is still ranked in a category list, and was previously in the six digits. My next client, Laura Rizio, just went through a coaching session a couple weeks ago. When she approached me, she was ranked over #100,000. After evaluating her platform, book page, cover, etc, I saw a few things she had going for her and a few things that she needed to change. She is now ranked #120. She hit #96 over the weekend and has held her ground on the strength of her excellent reviews. 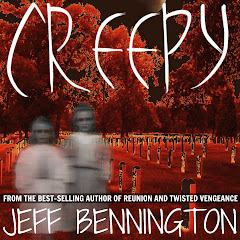 "Jeff Bennington of the Kindle Book Review is the BOMB. 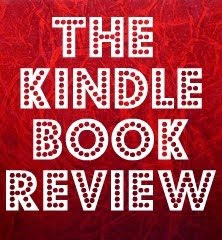 I was fortunate to stumble on the Kindle Book Review site looking for a way to promote my book, Blood Money. I knew that the book was good and had promise but no one was seeing it. A few books sold here and there but this was not where I knew I should be. I needed to advertise the book but found no good way to do this. The other venues, which I won't mention, were a waste of time and money. I needed a road map to break through to Amazon Kindle readers—to let them know that I existed. Jeff was there for me all the way, from creating a dynamic book cover to a road map which brought Blood Money from 12 sales in January to over 25,000 downloads as of this writing. Re-designed my product description page and fixed a few typos. Re-designed my print cover to match the new ebook cover. Enrolled in the KDP Select program. 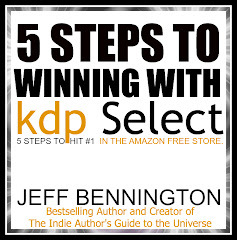 Changed my price to make my KDP Select promotion more successful. And that, my friends, is what I'm hoping to accomplish with my next three(3) author apprentices. Yes, I said three. When I posted the previous blog entry, I had already decided to help Bert Carson, author of Fourth and Forever. I've also made a decision with the final two authors who dared to sign up last weekend. Deborah Hughes, author of Be still my Love, and Robbi Bryant, author of The Beautiful Evil. Both books have received rave reviews but their sales have much room for improvement, which makes the task ahead even more of a challenge. I chose these books to demonstrate that the best thing you can do to sell is to have a great story and good editing. Those two items will always come first. The rest is where many authors fail: packaging and promotion. After reading through the Amazon samples, I believe these two books have what it takes to excel. A Beautiful Evil is currently ranked #381,778 has 14 reviews and a 4.9-star rating. Be Still, My Love is ranked #120,546 and has 17 reviews and a 5.0 star rating. My goal is to give each of these authors over 20,000 new readers two to three weeks and help them to sustain a better sales rank by simply changing a few things that I think can make a big difference. Everything that I do with these authors is in my book, The Indie Authors Guide to the Universe. If I did not pick you, it was not because I didn't think your book has potential. All of you have excellent reviews and if you tweak just a few things, I think you could see an increase in sales and readership. But since you took a chance on me, I want to give each one of you a FREE copy of The Indie Author's Guide to the Universe. When you read it, I hope you are motivated to stay in the game, encouraged to meet the challenges that indie publishing brings, and learn how you can effectively price and promote your books. If you posted your book in my contest, go to my "Contact" page and send me an email. Where do you find your ranking on Amazon please? It has the ranking in the product details section. I have been watching Blood Money carefully since your post the other day. It's clear you know what you're doing, both for yourself and for others. I still have a question about market layering. I agree with the concept, but find myself stuck on what sites work versus those that don't. Can you either recommend a couple good ones -- the ones Ms. Rizio used for example -- or is that information in your book? If it's in your book, I'll happily buy it. @David ~ J.A. nailed it. Here's the thing, though. If your book is brand new, or if you haven't sold a copy in ages, you might not see it. Amazonplaces their ranking at the bottom of the book details on your book page. If you do not see anything, it is because of a lack of sales. If you are selling plenty, then contact Amazon customer support. JA ~ Thanks for the help. @Rob ~ Thank you. So far it is working. Of course the disclaimer is, Laura wrote an excellent book, and I firmly believe that if a book is written well it should travel well. Everything I did with her and others is in the book. Keep in mind, The Indie Author's Guide is not just a straight up "Do this and that" and you're done. This book is about living the experience of being an indie author. You'll see many of the same posts I've written here, but the most powerful chapters are ONLY in the book. I have to keep some things sacred. As far as your question, so far I've kept the layered marketing simple, using The Kindle Book Review, digitalbooktoday.com, worldliterarycafe.com, pixel of ink, and KindleNationDaily. But more than any of these sites, if your cover and your reviews. Those are the PRIME marketing tools. In fact I try not to be redundant here, but no one wants to believe their cover needs work because it is so personal. So when authors aren't selling they want to look at everything but the obvious. I even joke in an upcoming guest post at The Creative Penn that you can't seem to beat this into writer's heads. Writing, editing, formatting, cover, blurb. These are your best marketing tools. If something isn't working, evaluate those items first. That's what I'm doing and it is working for authors who have done the first two. Now, that's great advice, I hope you still buy the book. Rob, That shoule be, "If your covers and reveiws are excellent, than you have a greater chance to excell." And the first two are quality writing, and professional editing. I hear you. I just revamped my cover in the past week precisely because I believed it didn't look professional enough. Waiting for my next KDP Select free promotional day to see how well it works. Appreciate the advice on the sites. Stupid question: is the book already for sale? I didn't think it was out yet, for some reason. @Rob ~ Not yet. My soft release for the digital version is Feb 21-28. Print should be ready by March 1. The book is schedule to go to the formatter on the 19th. I have a very tight schedule, but once it's formatted for Kindle & ePub, it is ready to roll. Then only a couple days until, print is fully loaded and available for sale. Great. Just let me know when it's out. Look forward to reading it. On reviews, I think my book is in good shape. I have a 4.9 average with 40 reviews. But the cover needed a revamp, no doubt about that. As you note in this post, the print and digital cover also needed to be the same (which they are now). All three covers (past, print and now the current) are here if you haven't seen the post: http://blackwellauthor.blogspot.com/2012/02/judging-book-by-its-cover-soul-to-steal.html. Interesting criteria you've got there regarding the reviews and high ratings. Generally speaking, reviews are misleading and left either by friends / family or people who are close minded and spiteful. Typically I see one review for every 100 - 1000 downloads (depending on the price point). For somebody who has 12 sales in a month and 14 reviews (presuming the book was for sale prior to that 12 sale month) there's reason to be suspect. I do agree about writing, editing, and a great cover being essential. Using KDP select to get exposure is an awesome tool as well, no doubt about it. The problem is everybody else is doing it too, so while my book may skyrocket into a great place for a day or so, it falls back out and it comes down to gaming the system to keep it bouncing back up. A tiring task and one that makes it hard to focus on writing the next book. 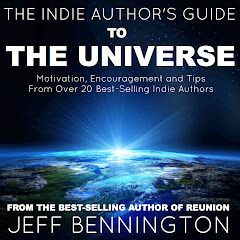 By the way, Jeff, thanks for ARC of The Indie Author's Guide to the Universe. Really enjoyed the read. Shame! Looks like I chose the wrong week to be busy and miss your blog entries. Never mind, I'm sure I can learn a lot from your blog entries anyway. Congratulations on the success, and I can't wait to see similar success for Bert! Sounds like you do great work, Jeff! @BooksbyJason. Excelent points. Although it seems like the books that rise to the top and hang on longer are the ones with the most and best reviews. And you are right, it is a temporary spike in sales, but for many who have written great books, haven't nailed all the key elements, that is a spike that without KDP Select they may never see. @Kirkus ~ Thanks. Glad you enjoyed the book and found some new and helpful points. Incidentally, you were my thord pick. If I hadn't already been working with Bert, I would have added you. I feel bad, but I'm telling you, if you can look at your book (which isn't doing too bad btw) and polish every one of those key elements, continue blogging, and inject layered marketing into your promotions you'll get there. And that's in the book. @Matthew ~ I try to keep my posts helpful and interesting. If I don't have a great post to write, I'd rather put it off. Feel free to scroll through my archive, or better yet, sign up by email in the upper right corner so you get a notification every time I post. Better YET, buy my book. Only two weeks to go. Soft release if Feb 21-28. @MommyLoves ~ Thank you. I think Bert is going to great and so are the others. I just finished Deborah's cover redisign and it's looking spectacular! Way to go for your awesome marketing stunt! Those modifications sure took the book to places. Well, keep it up, Jeff! I'm excited to know how everything turns out in the next three weeks. Hi Kevin. Thanks. You should contact @BertCarson, @DeborahJHughes and @Sweettalk29 and ask them how things are gowing. In case you've been following these writers…. Deborah, Robbi and Bert are selling well and have completely turned there book strategies around. Look 'em up and ask them how the apprenticeship went. !